Silverware and a trip halfway around the world are up for grabs when Kilkenny and Tipperary battle it out for the Allianz Hurling League Division One title this weekend. The GAA has confirmed that there will be an extra prize on offer for the winners of this Sunday’s final between Brian Cody's Cats and Michael Ryan's Premier County at Nowlan Park. The newly-crowned Allianz League champions will join All-Ireland champions Galway on a trip to Australia next November where they will face each other on November 11 for the Wild Geese Trophy as part of the Sydney Irish Festival. The match will be a headline event in what is a major two-day Irish festival at the Sydney Showground showcasing Irish culture, music, food, drink and sport over the weekend of November 10 and 11. Meanwhile there’s strong interest in ticket sales for Sunday’s Allianz Hurling League Division One final at Nowlan Park. 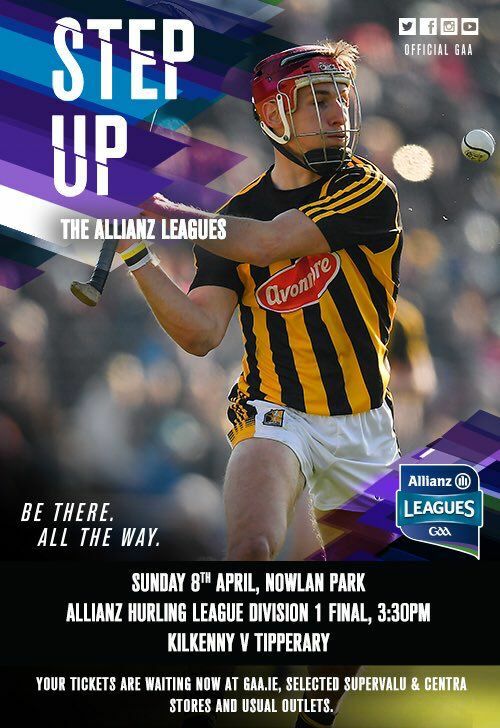 Both of the main stands at Nowlan Park are on course to be fully sold out with supporters reminded they can save €5 if they buy stand tickets early and before match day at a cost of €25. Match day stand ticket prices are €30. Tickets for children Under-16 are €5.